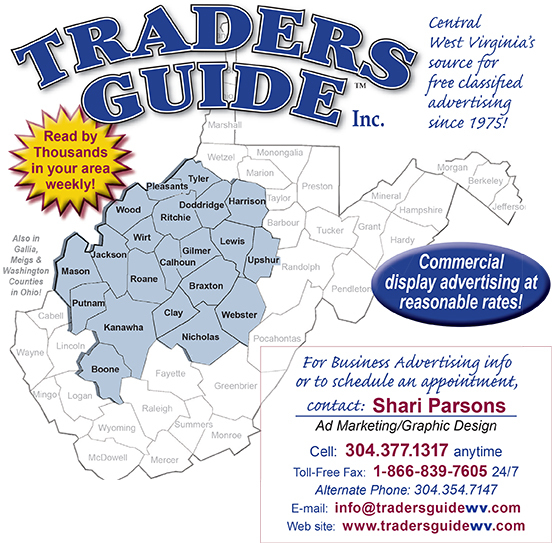 Central W.Va.’s Source for FREE Classified Advertising since 1975! Thank you for visiting our Web site! We are a weekly tabloid that is published each Wednesday and distributed throughout central West Virginia. COMMUNITY EVENT classifieds, click the "FREE AD" INFO tab above left. for information on business advertising!